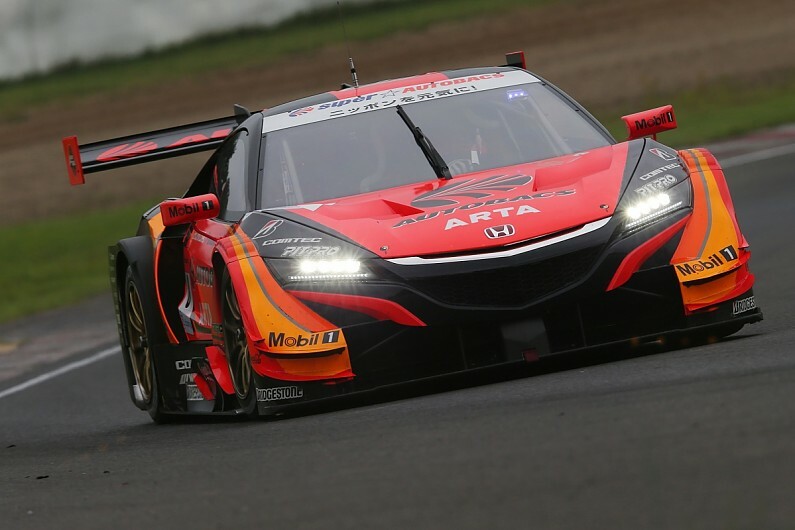 Jenson Button and Super GT team-mate Naoki Yamamoto will start Sunday’s title decider at Motegi second on the grid, after narrowly losing out on pole to the #8 ARTA Honda. 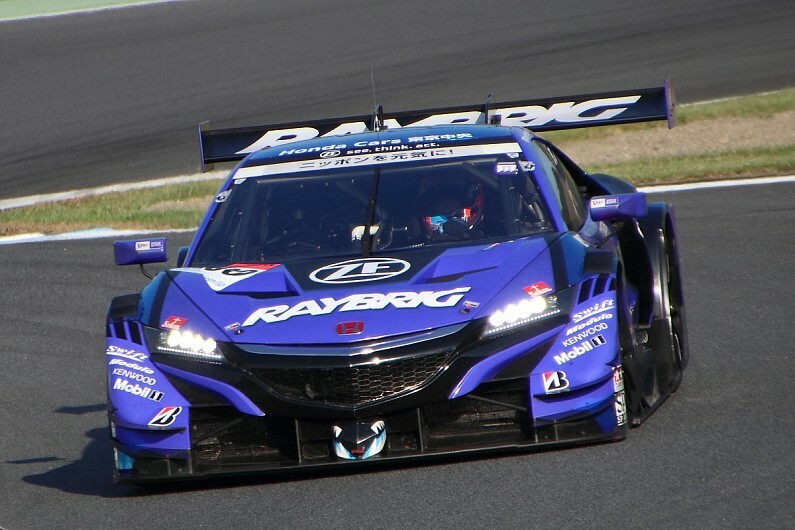 Button had topped the first segment of qualifying in the #100 Team Kunimitsu NSX-GT, but Yamamoto fell just 0.097s short of Honda stablemate Tomoki Nojiri in the #8 Honda (pictured below) during the Q2 pole shootout. Nojiri’s time of 1m35.550s was a new GT500 lap record at Motegi, coming in almost eight tenths faster than the previous record established last year. Button and Yamamoto came to Motegi level on points with championship rivals Nick Cassidy and Ryo Hirakawa in the #1 TOM’s Lexus LC500. Hirakawa however could manage only sixth in Q2 as Honda swept four of the top five positions, although he and Cassidy could at least take solace in the fact Button and Yamamoto missed the bonus point on offer on pole. Two other crews still stand a theoretical chance of the title, including Nojiri and ARTA team-mate Takuya Izawa, who are now 16 points off the lead after taking pole – with 25 points on offer for victory on Sunday. At the opposing end of the GT500 grid, Yuki Sekiguchi will start in the #36 TOM’S Lexus. Sekiguchi is 12 points behind Button/Yamamoto and Cassidy/Hirakawa, but his team-mate Kazuki Nakajima made an error on his final lap in Q1 and ended up 15th and last. Toyota LMP1 racer Nakajima is already out of title contention as he was forced to skip May’s first Fuji race owing to a clash with the World Endurance Championship opener at Spa.